John J. Sarno specializes in employment and labor law. He has litigated cases in state and federal courts, including wrongful termination and retaliatory discharge, and is often retained to handle complex appeals. He regularly counsels management on proactive policies and practices to maintain positive employee relations. 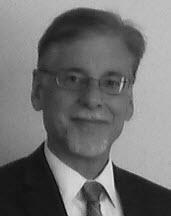 He publishes extensively on labor and employment law and regularly teaches HR law. John is also President of the Employers Association of New Jersey and Executive Trustee of Affiliated Physicians and Employers Health Plan. As such, he provides strategic leadership to help good employers be better through advice, counsel, training and benefits plans.